For other uses, see Fath. 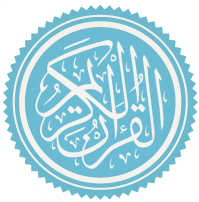 Sūrat al-Fatḥ (Arabic: سورة الفتح‎, "Victory, Triumph") is the 48th sura of the Qur'an with 29 ayat. It was revealed in Medina after the Treaty of Hudaybiyyah, and details the circumstances and terms of that treaty along with other general religious advice. The chapter gets its name from the opening verse, which states "Indeed, We have granted you a clear triumph..." in direct reference to the Treaty which was signed through cooperation between the opposing forces and without bloodshed. The reason this treaty, and therefore chapter, is called a "clear triumph" is largely believed to be because of its peaceful nature. Folio from a Quran in Kufic script, Abbasid dynasty, Near East or North Africa. Ink and color on parchment, 23.9 × 33.3 cm. Part of Al-Fath Sura. This verse focuses on the importance of being dedicated to God. Those who do not dedicate themselves to God and remain that way will have their souls suffer. Those who stay dedicated to God will be rewarded by God. This verse is said to contain a prophecy. This verse is regarding the Treaty of Hudaybiyyah. This verse is regarding The first pilgrimage. ^ "Qur'anic Verses". World Digital Library. Retrieved 21 January 2013. ^ a b c Hesham Azmy. "Noorullah Website - Exposing Fallacies". Archived from the original on 2009-10-25. This page was last edited on 6 January 2019, at 15:23 (UTC).